The Avalon High School spotlight shines bright on ninth grade student, Kaylee Gill! Kaylee's favorite subject is IPC. She likes to study about different things in science and do cool experiments. She likes pop and christian music, the colors turquoise and purple and TV shows that are about mystery, scary or funny. Her favorite food includes Chick-Fil-A, Panda Express and Subway. 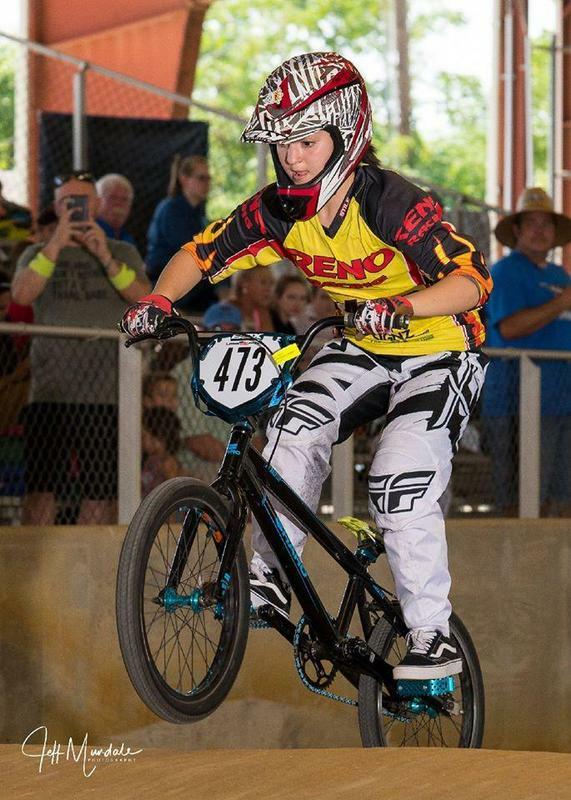 Kaylee is very active in BMX racing outside of school! Kaylee plans to attend The University of Texas at Austin when she graduates to earn a Bachelors degree. She would like to be a professional BMX rider who travels the world or to be a BMX trainer. Her favorite saying: "You are braver than you believe, stronger that you seem, smarter than you think and loved more than you know." Kaylee's thoughts on Avalon School: "This school year will be a great one because our town and community is like a family. I think Avalon is a great welcoming school and we have good things to do. We also have an amazing group of teachers and staff!"